"Taung" project starts: its aim is the craniofacial reconstruction of the fossil known as "Taung child", a specimen of Australopithecus africanus discovered by Raymond Dart in 1924 in a quarry near the town of the same name in South Africa. 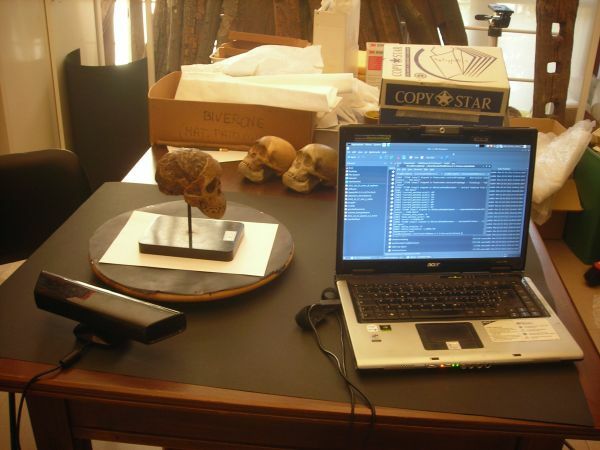 "Taung" is a collaborative project between Antrocom non-profit organization, an association for anthropological studies, Arc-Team, a company that operates in the field of cultural heritage, and Cicero Moraes, an expert in 3D modeling applied to the forensic context. The Museum of Anthropology of the University of Padua has provided the casts of its collection to the experts of Antrocom NPO and Arc-Team. Among the objectives of the project: to evaluate the applicability of the used method to the reconstruction of faces of contemporary human beings, to the paleoanthropological context and to create a database of examples of application of modern techniques of digital reconstruction to the anthropological context for research and popularization. The researchers decided to work through a three-dimensional survey of the cast of Taung child at first, and then they decided to reconstruct the facial muscles of the skull through the observation and comparison of DICOM scans of primates. 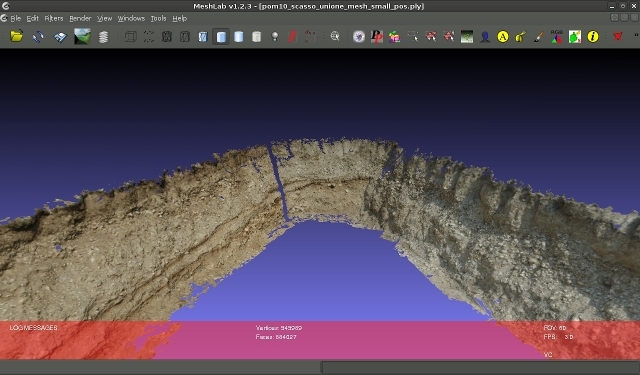 In particular, the three-dimensional survey of the find was made through techniques of Structure from Motion and Image-Based Modeling (SFM / IBM), using only free and open source software (Python Photogrammetry Toolbox). 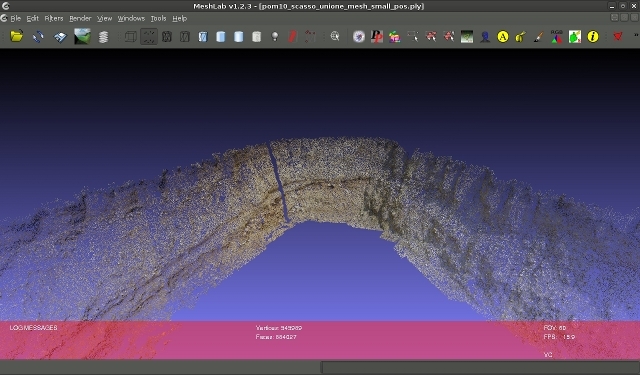 For the digital reconstruction of the facial musculature researchers chose open source programs (including Blender), modeling using the technique of "metaballs" the needed muscle bundles, while they will be used mainly the free software InVesalius for the comparison with DICOM data of other primates. The project is located in a wider context of research that aims to explore the application of digital techniques in the museum context, with particular attention to the findings of anthropological nature. The search results will be released as soon as possible in turn under an open source license and therefore freely distributed. Antrocom NPO and Arc-Team would like to thank, for their invaluable cooperation, the Museum of Anthropology of University of Padua, in the person of the keeper, dr. Nicola Carrara, and the Centre for Museums of University of Padua. 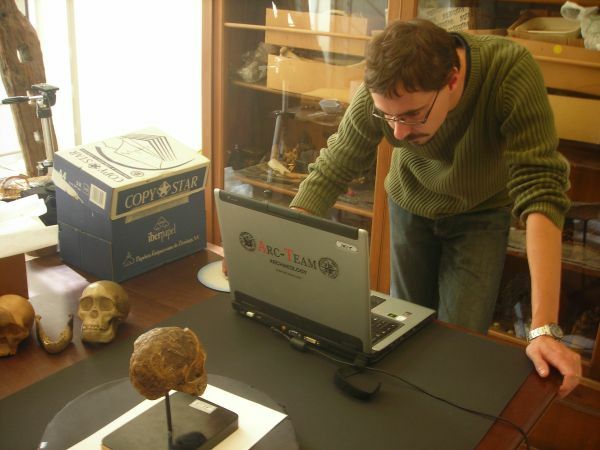 Antrocom non-profit organization promotes and encourages the development of studies of physical and cultural anthropology, working in scientific research, education, training and in the popularization of anthropological sciences. The Association is careful to perceive and enhance both the local tradition that the new technological perspective applied to anthropology. 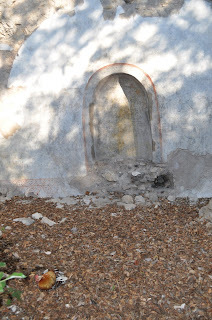 Arc-Team sas is a company based in Cles (TN, Italy) formed up by young archaeologists and anthropologists working in the field of cultural heritage, characterized by wide-ranging collaborations at national and international levels. 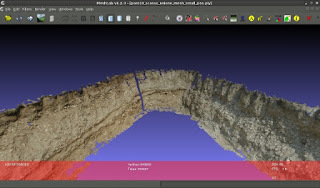 In particular, it deals with archaeological excavations, documentation and digital modeling (2D and 3D), GIS geoarchaeology, WebGIS, paleopathology, anthropology and musealization. How many pictures could my laptop elaborate with the SfM/IBM technique (using PPT)? I'm testing the potentialities of the SfM/IBM technique, progressively increasing the number of the pictures. It is my personal Guinness World Records. In the beginning my record was 100 images, then 105 and now ... 120. To reach the new record my laptop needed more or less 60 hours of calculation (maximum image resolution), but my work was only five minutes, the time i need to run Bundler and PMVS2 in PPT. 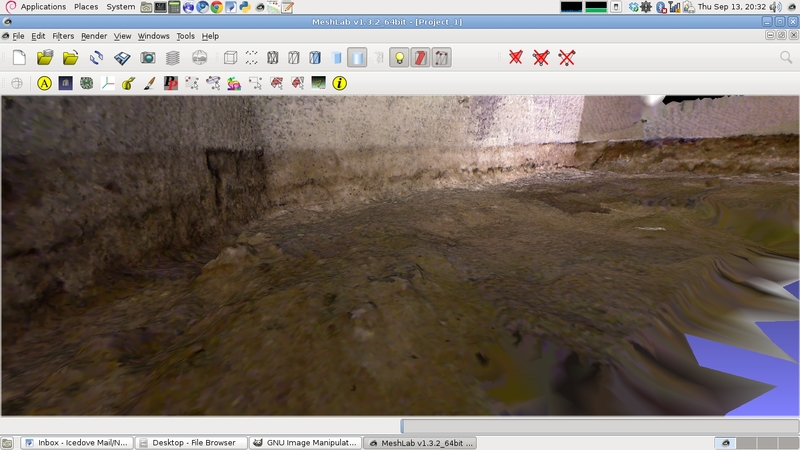 ... the pictures below are some screenshot of the final model. This post is a further contribution regarding the main benefit of SfM: its versatility. Thanks to its speed during the phase of data acquisition, this technique allows us to intervene quickly in the case where the archaeological excavation exposes precarious situations, often related with collapsing structures. 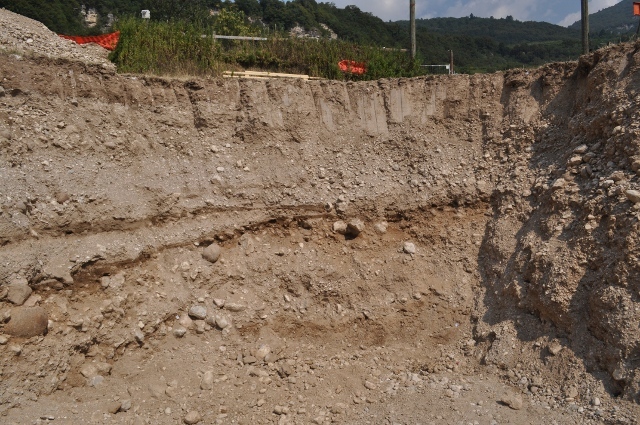 The image below is good example: we were working in the vicinity of a church, checking the excavator. 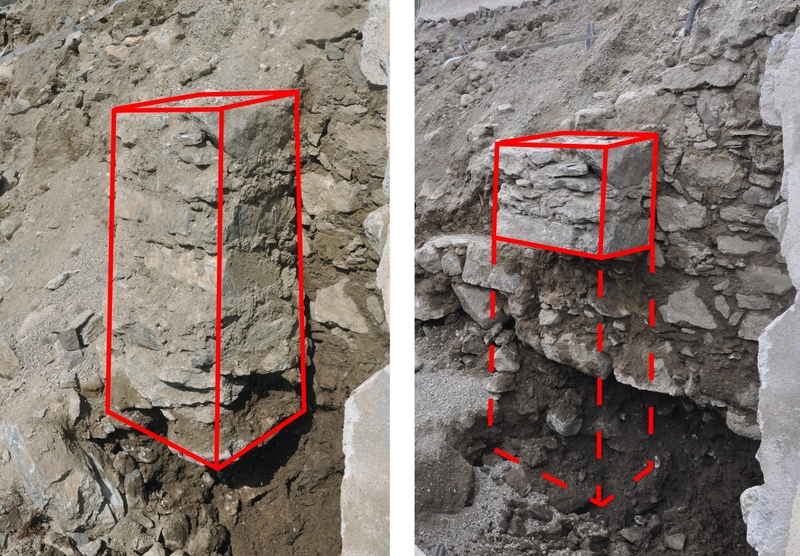 The left pictures shows the part of a wall which was exposed during this operation, while the right photo reports the same subject just twenty minutes later. 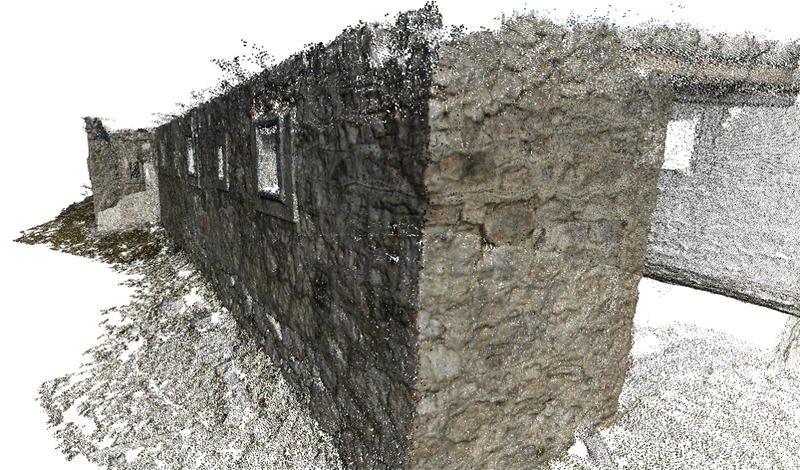 Luckily, seen the precaurious conditions of the structure, we decided to document it with SfM and IBM techniques, and this is the 3D restitution of the wall before the collapse. However, the documentation of archaeological arthefacts before their destruction, is just one of the benefits of SfM (mainly related with the speed during data acquisition). 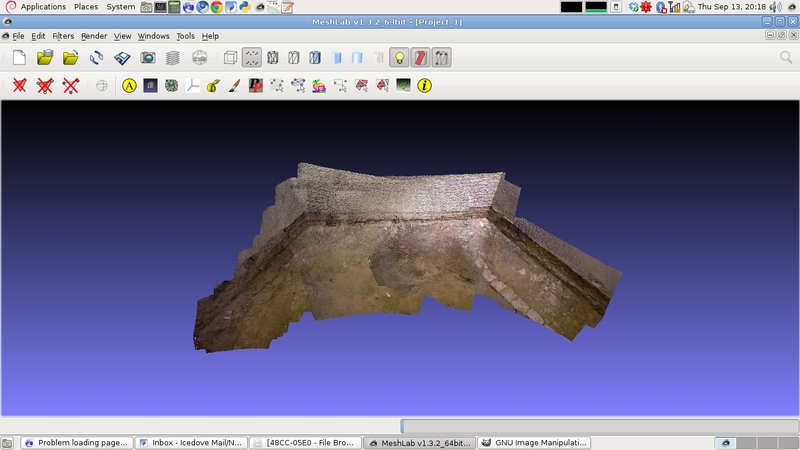 In fact the versatility of this technique is strongly connected with the hardware we need to collect the data: a simple digital camera. 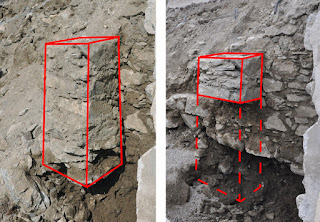 This make it possible to work without the necessity of a direct contact with object to be documented (especially if we can support the excavation with a direct reflex total station, to record the Ground Control Points needed in the post-processing georeferencing operations). This way to operate lead to minimize the risk and increase the safety in the workplace. The images below regard an example of this situation: sometimes it happen to be called to evaluate the damnages of costruction sites, already underway without the archaeological control. 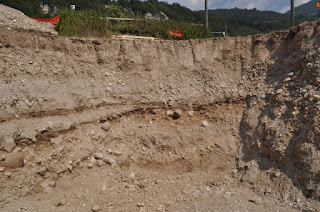 In these cases it can happen to document precarious situation, but, using SfM techniques, there is no need to stand in risky places (like under a section with many gravel layers), because all the operations can be done from a safety distance. I hope this post was useful, have a nice day! 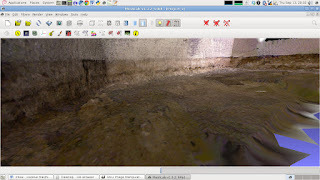 To complete the "Kinect trilogy", today I write this post about our first test during a real archaeological fieldwork. 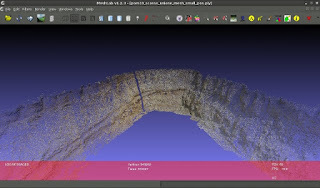 Also in this case we (Alessandro Bezzi and me) used our "hacked Kinect" with the external battery in connection with the rugged PC and, again, the chosen software for data acquisition was RGBDemo. 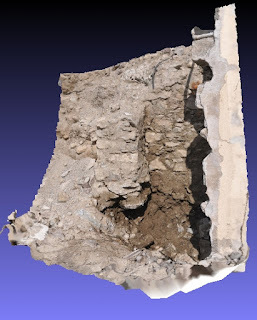 This time we documented in 3D a layer during an "indoor" excavation, to avoid the problems with direct sunlight I descirbed in this post. As you can see the general quality is lower respect the results we can obtain with other techniques (e.g. 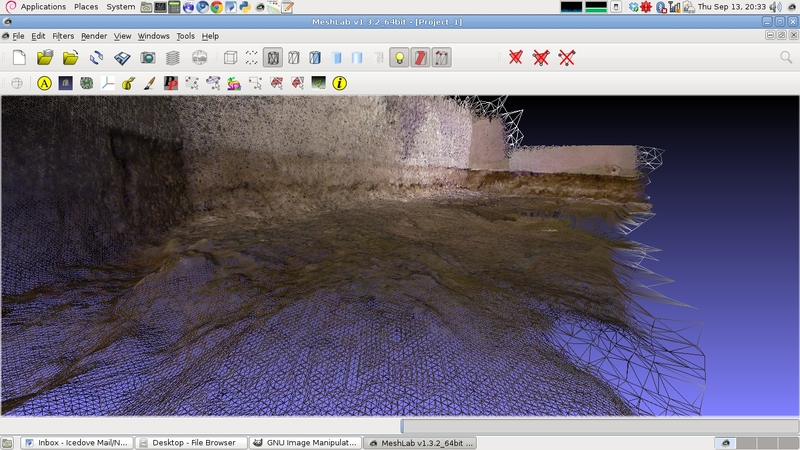 SfM and IBM), but Kinect and RGBDemo have the benefit to acquire and elaborate the data almost at the same moment, with the possibility to see the documentation process in real time. 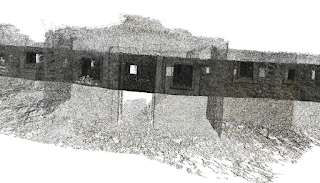 Ultimately Kinect is one more option to consider for 3D indoor documentation, considering the peculiarities of the archaeological project (the light conditions, the available time, the required level of detail, etc...). Our experiments will now go on now with some tests in particoular situations, where this technique could be the best option (expecially in underground environments). It was a sunny September Sunday, so I decided to take a walk with my wife Kathi and show her one of the hermitages located in the valley in which we live (Val di Non, Trentino, Italy). My second thought was that the ramble was a perfect opportunity to test the hacked Kinect and try to document in 3D the main wall of S. Gallo's ruins (the remains of the hermitage). 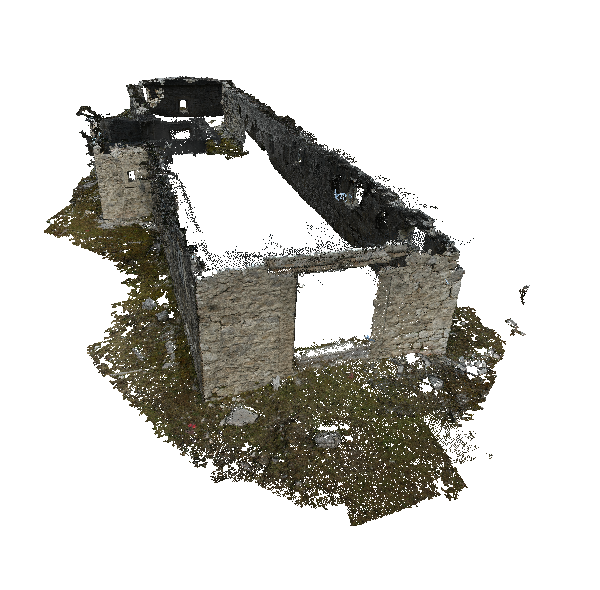 So I prepared the backpack with Kinect, the external battery and the rugged pc we normally use on the archaeological excavations. ... but, probably due to direct sunlight conditions, Kinect and RGBDemo where not working propertly. In fact, as you can also read in M. Dalla Mura, M. Aravecchia and M. Zanin poster (during "LOW COST 3D: sensori, algoritmi e applicazioni" workshop), "...The main issue is due to direct Sun illumination that leads to saturation in the depth acquisition...". Moreover the software (RGBDemo) was reacting very slowly, but this was probably due to the hardware (Panasonic Thougbook), which is less powerful compared to the laptop I normally use to work. Secondly also RGBDemo seems to work better on GNU/Linux (ArcheOS), the Operating System which runs my laptop, than in Windows, the rugged PC OS (but this could be just my impression). 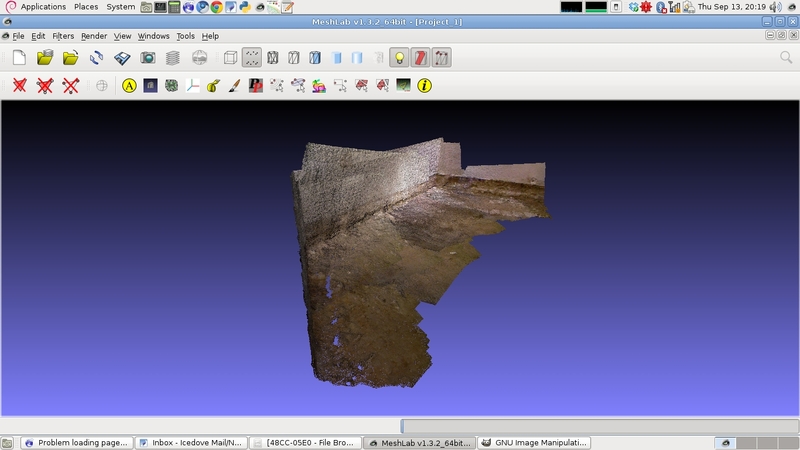 Not beeing satisfied with the results I get with the 3D documentation of the ruins (software too slow to manage all the data recording process, high errors on the sunny parts of the wall, etc...), I decided to check for another subject to document. 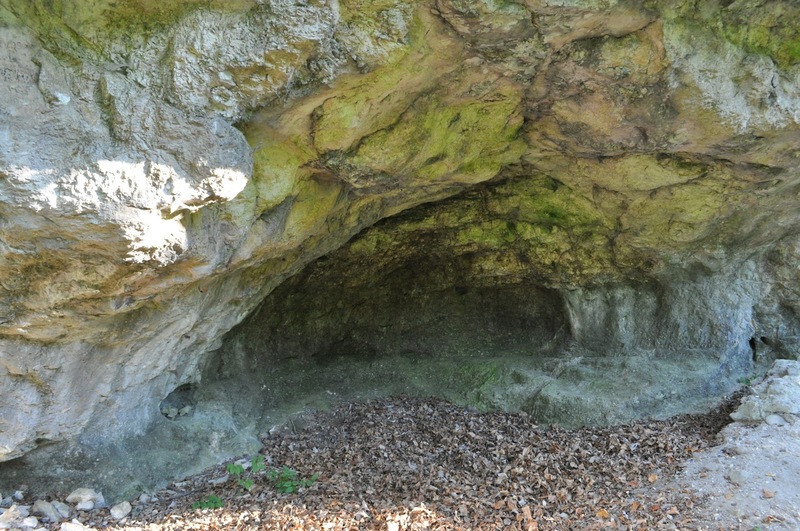 Luckily in S. Gallo's hermitage are not missing the caves, so, with the help of Kathi, I did a fast digital 3D copy of the cave you see in the picture below. This time the software was working good, fast enought to work on the field and with negligible errors in data acquiring. 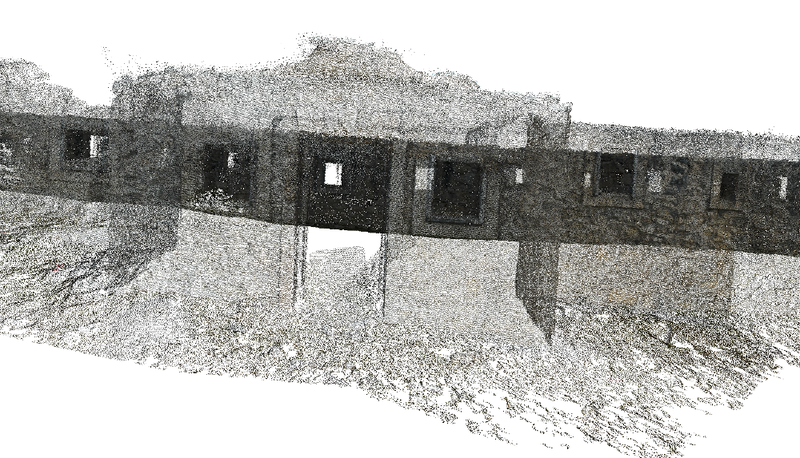 In the movie below it is possible to see the final pointcloud (not complete, but big enought to understand the quality of a 3D "field" documentation with Kinect). After this test, our Kinect was ready to the "trial by fire" of a real (indoor) archaeological excavation, which will be the topic of one of the next posts in ATOR. Some weeks ago I finally found the time to modify our Kinect in order to test it outdoor. 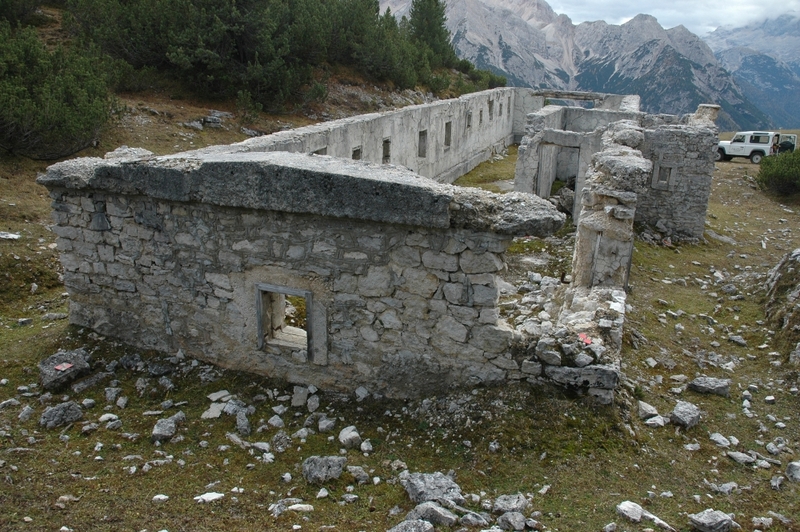 My main problem was the power supply, while in an archaeological excavation it can be difficoult to find an access to electricity. The solution was obviously an external battery, but I did not know the right voltage and amperage. 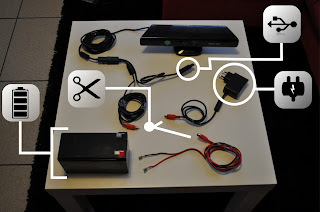 Finally I found this interesting post, in Ken Mankof blog, with all the necessary informations to hack Kinect for the fieldwork. As you can see, Kinect's main cable ends with an USB (for data transfer) and with an electric plug (for power supply). I cut the cable before the elctric plug and I added a connectors pair, positioning the male one on the Kinect side and the female one on the electric plug side. Then I prepared another cable with a female connector at one end and two different female blade connectors (faston) on the other end (one for the positive and one for the negative exit). The two female blade connectors are compatible with the two terminals (red/positive and black/negative) of a lead battery (12 V, 7.2 Ah). 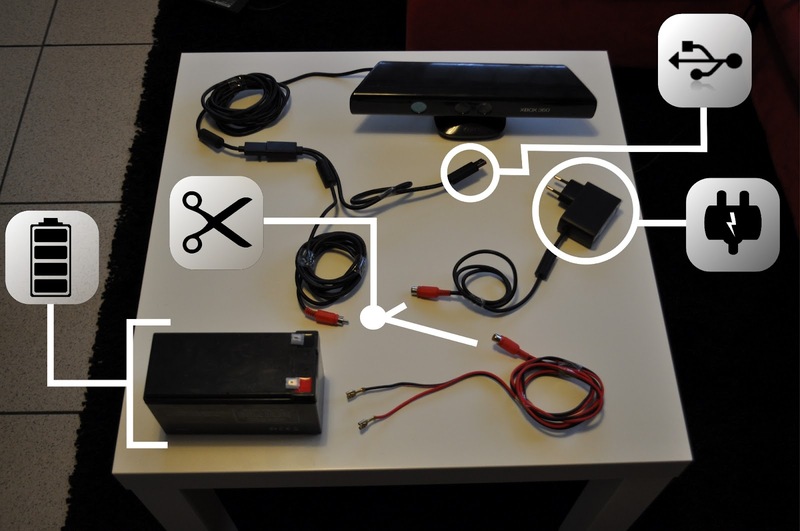 In this way it is possible to switch Kinect form the electric net to the battery, simply plugging and unplugging the right cables. After the hardware modification I was able to test Kinect outdoor. I will write soon a post with the results.